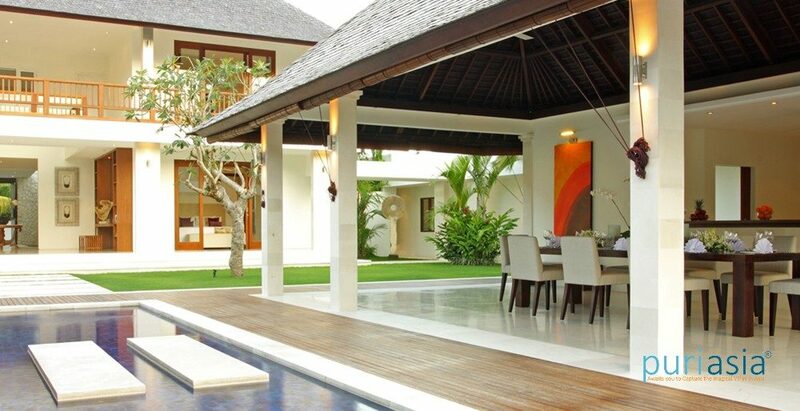 Just 300m from the famed surf break and Echo Beach lies a four-bedroom villa that is the epitome of elegant contemporary Balinese living. 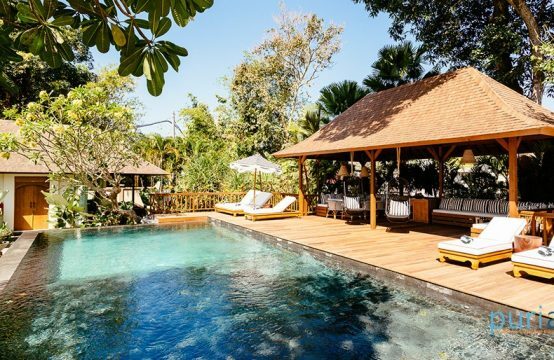 Villa Asante which is located in Canggu, is set in glorious walled gardens full of stately Travellers Palms, flowering gingers and frangipani trees. 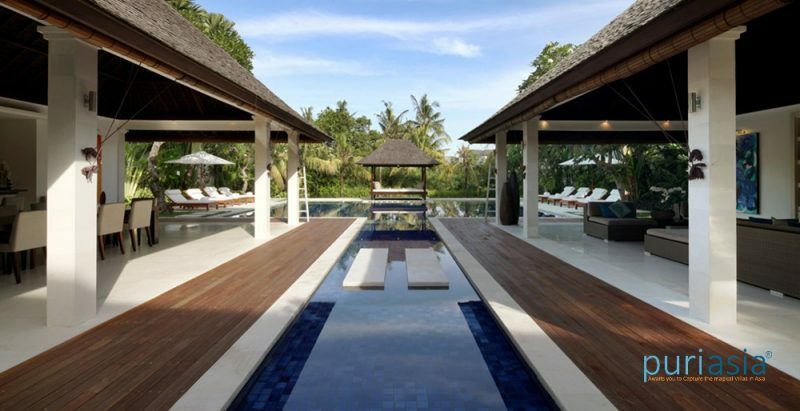 Its pleasing symmetrical design – a two-storey building flanked by a pair of open-sided living and dining pavilions gazing across the swimming pool to the rice terraces beyond the river’s-edge lawn – is the creation of international architect Ross Franklin and interiors guru Dean Kempnich. They’ve hit the perfect balance between the uber-cool open-air living areas and comfortable air-conditioned bedrooms, with loads of entertaining space as well as quiet corners to get away from the crowd. 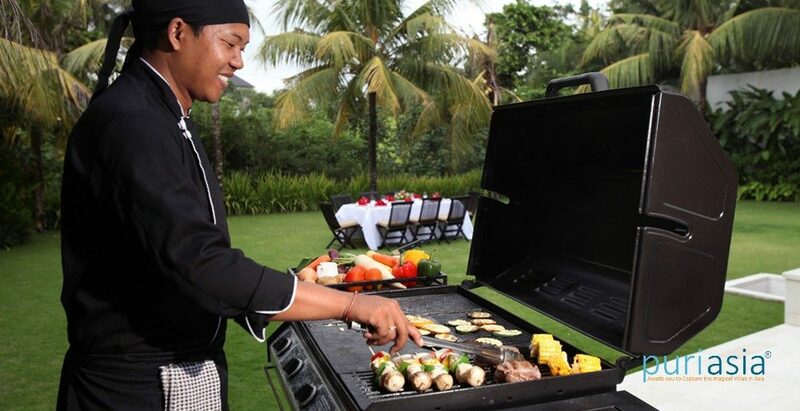 An integral part of the Asante experience is the degree of cosseting guests enjoy. 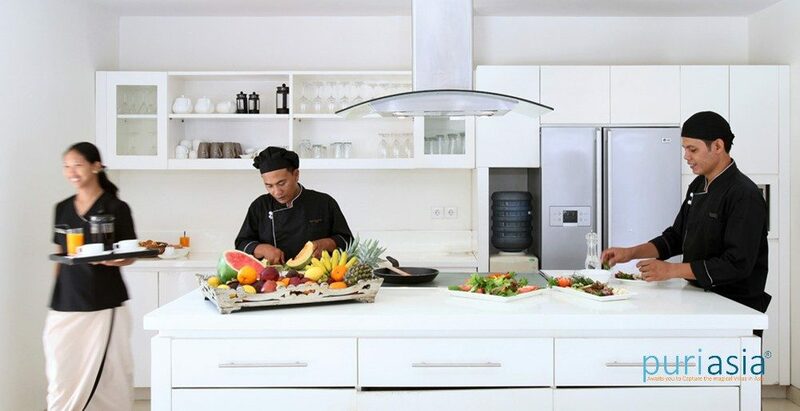 The well-trained long-serving staff (many have been at Asante since the beginning) includes an experienced chef who is a whizz in the kitchen, whipping up spectacular dishes throughout the day. Both butler service and security is provided round the clock, and massage therapists and babysitters can be called in at short notice. Asante means ‘thank you’ in Swahili and is close to the Bahasa Indonesia word for relaxed (‘santai’). 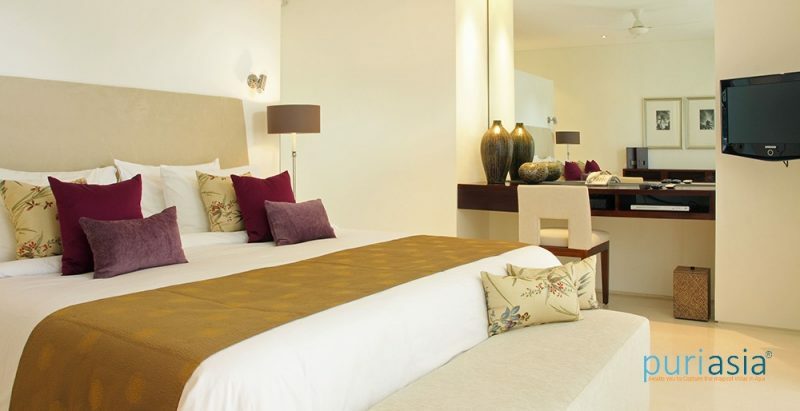 One thing’s for sure – on leaving Villa Asante, you’ll be both relaxed and thankful. Positioned downstairs, with terraces at their fronts, the two master bedrooms are furnished with king-size beds, and equipped with air-conditioning, ceiling fans, and satellite-channel TV/DVD players. The generously sized master bathrooms feature courtyard gardens planted with travellers’ palms and shrubs. When the glass doors are opened the bathrooms become one with nature. Each is fitted with a bathtub and two showers, one indoors, and one offering an alfresco showering experience. One of the upstairs, air-conditioned guest bedrooms is furnished with a king-size bed and the other with twins (convertible to a king). Trundle beds, providing extra sleeping space for two children roll out from under the twin bed frames. Each guest bedroom is equipped with a satellite-channel TV/DVD player. Sliding glass doors open on to a wide balcony, presenting lovely views of the garden. Featuring non-slip acid marble floors, each stylish ensuite bathroom is fitted with a walk-in rainshower. The living pavilion presents tropical living at its very best. Open on three sides, with a cream terrazzo floor under a soaring shingle roof, the pavilion is illuminated by mood lighting, adorned with colourful artwork, cooled by natural breezes and ceiling fans, and furnished with deeply cushioned sofas. 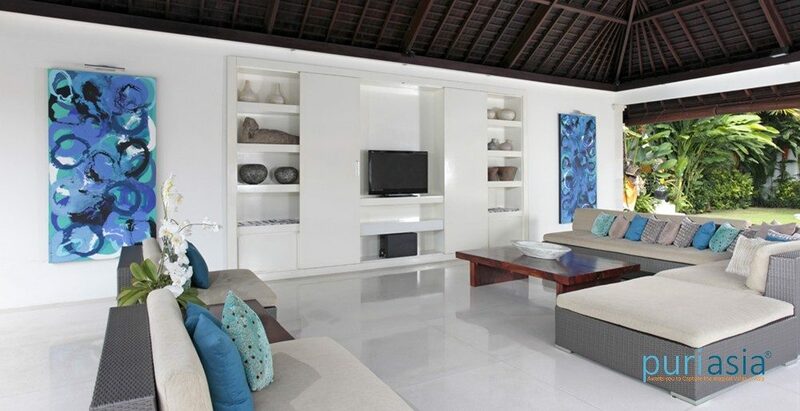 Hidden behind cupboard doors is a 42-inch satellite-channel TV and DVD player together with a Bose sound system. Stepping stones across the pool link the living pavilion with the dining pavilion and kitchen. 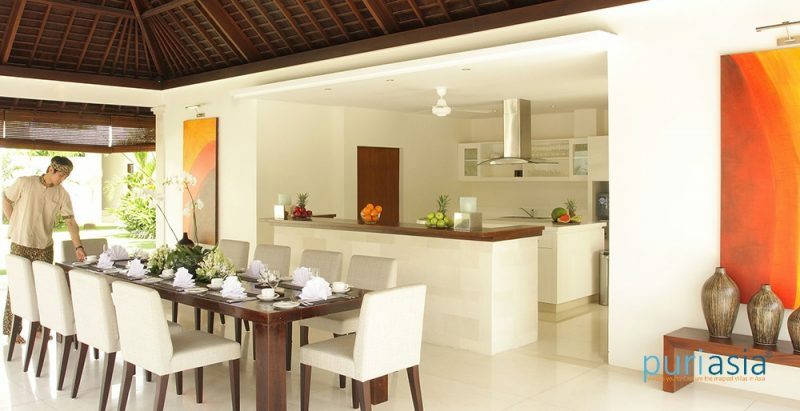 The spacious dining area is cooled by ceiling fans and furnished with a teakwood dining table for 12. Adjacent is a white, open-plan designer kitchen linked to the dining area by a wide service bar complete with bar chairs where guests can sip an aperitif while they watch the chef at work. 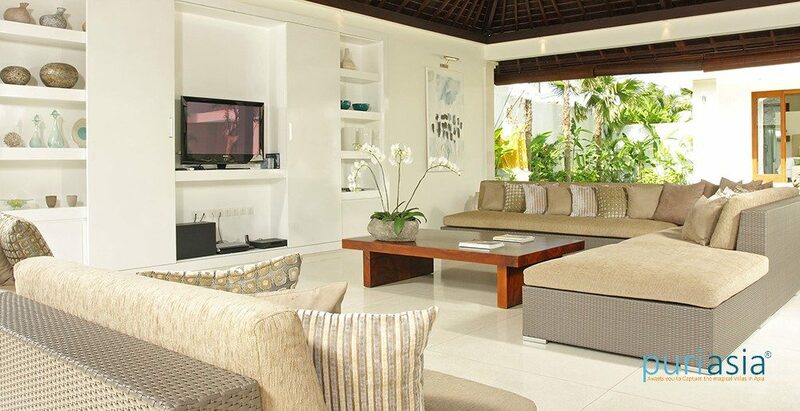 Villa Asante’s TV room serves many functions: it can be a cosy and quiet escape, a place for the kids to play games, or for the family to watch a movie in air-conditioned comfort, or as an extra bedroom for kids. Positioned centrally upstairs, the room is furnished with deeply upholstered sofas (which can double as extra beds), and equipped with a 42-inch TV with satellite channels and a DVD player. The 13 x 10.5-metre swimming pool includes a shallow area that forms a T-shape separating the living and dining pavilions. Beside the pool is a timber sundeck and a big, open-sided bale relaxation pavilion with a cushioned floor. The garden is planted with fragrant frangipani trees, travellers’ palms and coconut palms, while the flat velvety lawn is ideal for outdoor games or wedding parties. 8 people (4 ensuite bedrooms: 3 with king-size beds, one with twins convertible to a king) plus extra trundle beds in the rooms for up to four children for a small additional cost. 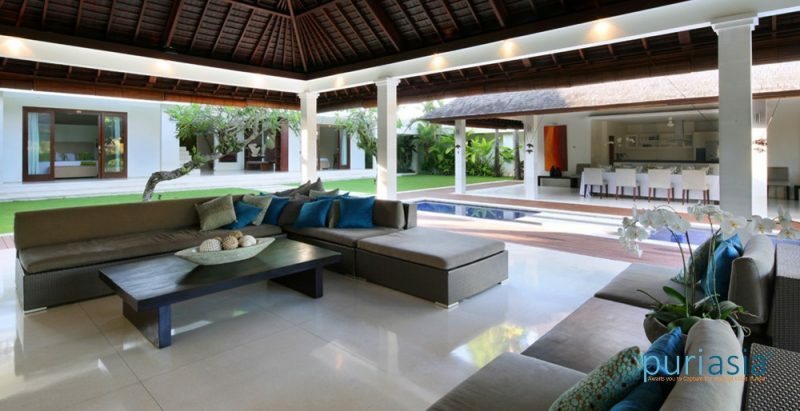 Open-sided dining and living pavilions; air-conditioned TV lounge. 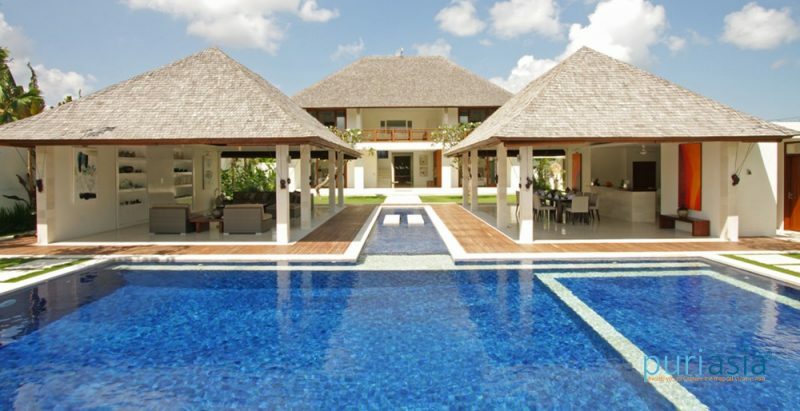 Villa manager; assistant manager; private chef; butler/housekeeping; security; garden; maintenance. Additional staff (babysitters, masseuses, driver) available on request for a small extra cost. Western, Asian, vegetarian and children’s dishes. Requests accommodated (including special diets or barbeque). WiFi internet access; landline for local calls; mobile phone coverage. Computer, fax, scanner and printer on request. Satellite TV; DVD player; Bose sound system; Xbox; CD player; iPod docks. Villa Asante is well equipped for families. Facilities include a baby cot; trundle beds; high chair; DVDs; toys; table tennis; pool toys and shallow pool area. 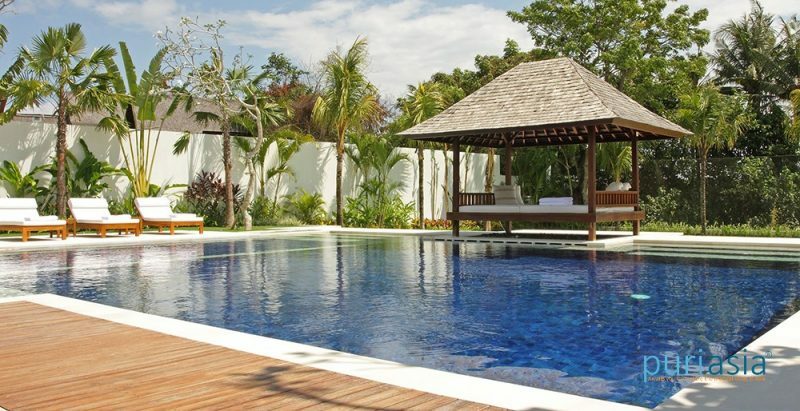 The villa offers use of a 7-seat car with driver for up to 8 hours at a special daily rate of US$25++ (excluding petrol). If additional transport is required, don’t hesitate to ask the villa manager to call one of the island’s safe and reasonably priced metered taxis, or to organise day or half-day car and driver hire for sightseeing (additional cost). 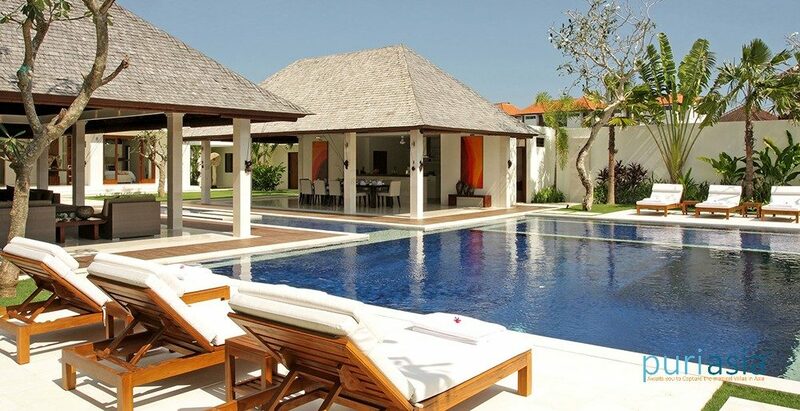 Events for up to 85 seated or 120 standing guests can be arranged at the villa with prior notice.